For these creatives and international artists, Art & About Sydney was a gateway to bringing their temporary public artworks to Sydney, Australia. 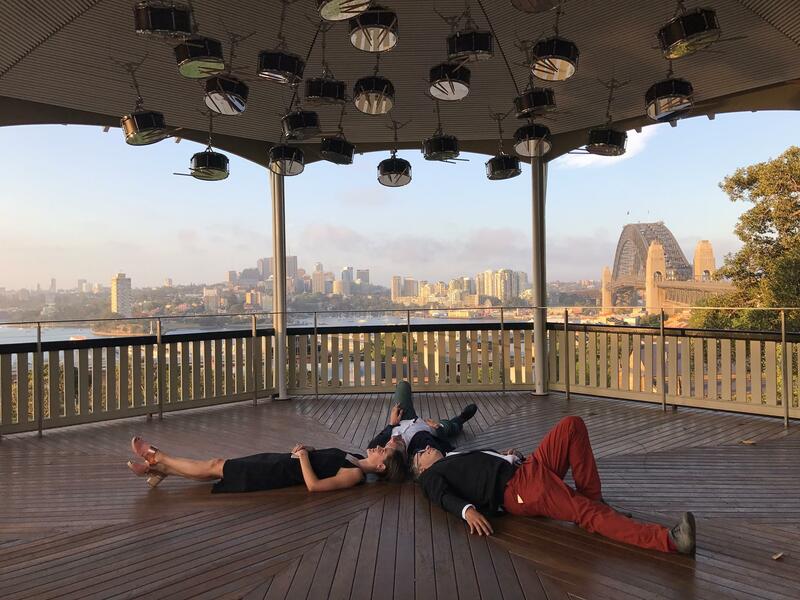 Expressions of interest are currently open for more international artists to surprise and delight Sydneysiders. You don’t have to be an Australian citizen or permanent resident to apply. From advertising creatives and architects to established artists and collectives, Art & About Sydney seeks creative ideas that turn public spaces into artistic encounters. Just imagine your artwork set against the backdrop of landmarks such as the Sydney Opera House and Sydney Harbour Bridge. Even if you’ve never shown your work on this scale, the Art & About Sydney team has the know-how to take a unique creative idea to new heights. Artists from the US, Korea, Germany, Austria, Nigeria, Denmark, New Zealand, England and Japan have all left their mark through Art & About. Here are a few. Set to live music and percussion, HEARD-SYD was an exuberant, explosive performance. The work featured 60 dancers embodying American artist Nick Cave’s mesmerising ‘soundsuits’. This artwork pulsated high above George Street in the city. Tsunami was a gigantic aerial net installation by acclaimed American artist Janet Echelman. The 6-person art collective made its debut at Miami Art Basel in 2010. 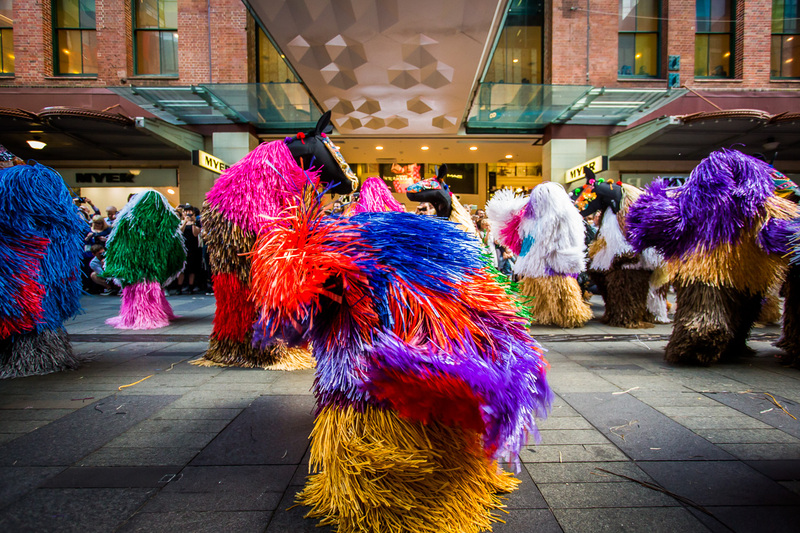 The group showed its funky, brightly hued critters at the Venice Biennale twice before landing in Sydney. 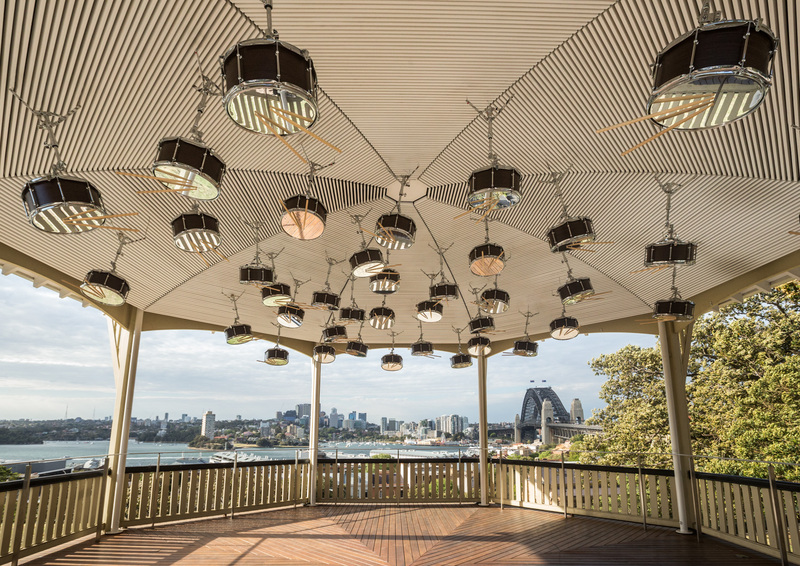 Set against Sydney Harbour, French-Albanian artist Anri Sala created a mesmerising artwork of sculpture and sound. Designed with this specific site in mind, Sala installed 38 custom-built drums to tell a sonic story of history, place and time. Got a big idea to activate one of Sydney’s public spaces? Join these artists as the next major Art & About Sydney project. Expressions of interest are open until 7 September 2018. 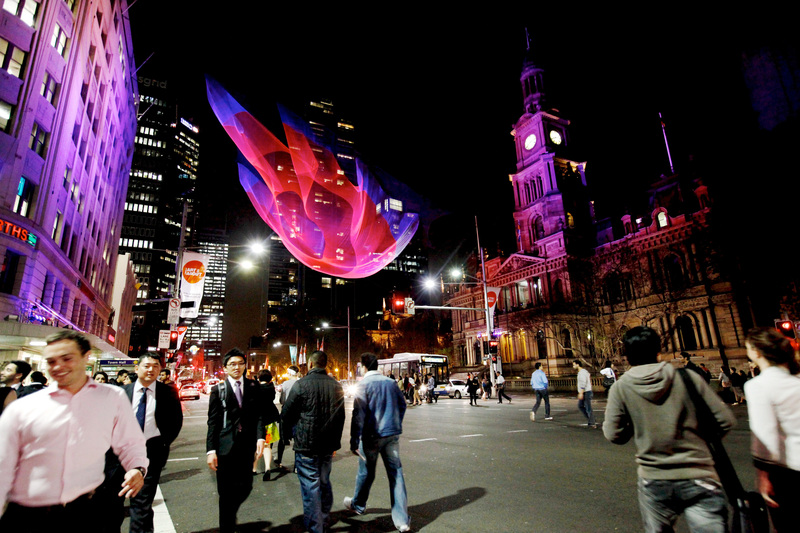 Images: Nick Cave HEARD-SYD, 2016, photo by Katherine Griffiths, courtesy the City of Sydney; Janet Echelman, Tsunami 1.26, 2011, photo by Sharon Hickey, courtesy the City of Sydney; The Cracking Art Group, Snailovation, 2013, photo by Brendan Read, courtesy the City of Sydney; Kaldor Public Art Project 33: Anri Sala, The Last Resort, Observatory Hill Rotunda, 2017, presented by Kaldor Public Art Projects and Art & About Sydney, photo by Peter Greig.